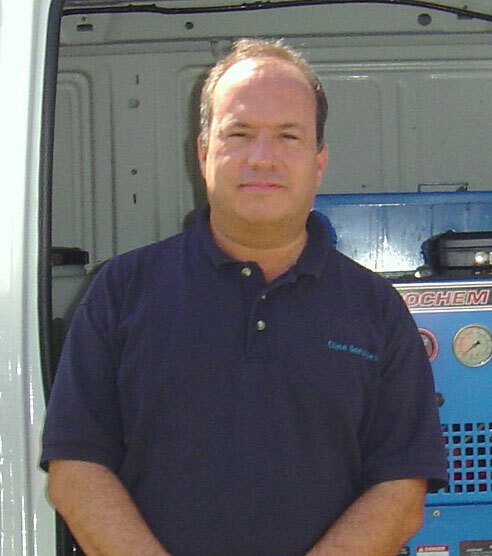 Chip Cline has been a professional, self-employed carpet cleaner for 19 years. He has lived here all his life and his family has been in the Charlotte area for generations. In short, he is not some here-today-gone-tomorrow type who will leave you with a mess to clean up and an empty bank account to boot. You’ll know where to find him when you need him. His address is on this website and invoices. Chip had three years selling carpet for a large retailer in the mid-eighties. In short, he knows the ins and the outs of carpet and rug manufacturing. Before that, he managed two retail furniture stores. He knows upholstery, too. With this kind of experience, you can expect to have your carpets, upholstery, and rugs cleaned to manufacturing standards by a qualified professional. Remember, Cline Services comes to your home to clean, not to sell. You can relax. Chip wants customers to feel comfortable while he is in their homes.